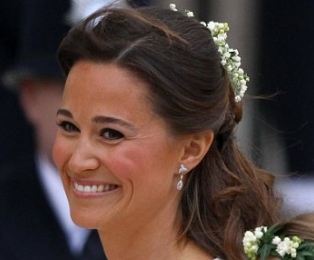 Pippa Middleton’s dress, which was worn on her sister’s wedding day in London, is coming to the High Street. The 27-year-old party planner become something of style icon on the high street after the Debenhams included the bridesmaid’s gown into a center piece of the new line of royal wedding-inspired dresses. There are also report that a high street version is being produced of the emerald green gown worn by Pippa to the reception at Buckingham Palace.